Charlestown is a small town in Washington County, Rhode Island. It is one of Rhode Island's best property tax rates, as well as, miles of coastline on the sound and a quaint agrarian vibe to the north. It is one of RI's premier towns to reside with only around 8,000 residents. The median home value is $342,700 and is among the higher entry price points in the state, however to the North in neighborhoods like Worden's Pond, Carolina, Biscuit City, Pasquiset Pond, Shannock, Kings Factory, River Crest and South County Trail, sales of single family homes have ranged between $75,000 for a tear down Ranch to $444,000 for a spacious well appointed lake front property on Worden's Pond, during the 2015 selling season, so it is an affordable entry point in the rural areas north of Route 1, especially when you consider that because of the expansive beachfront and luxury community, Charlestown has among the lowest property taxes in the state. The neighborhoods of Northern Charlestown offer the location amenities of bordering Richmond and Hopkington. Its not a heavily developed commercial or destination area, it is a rural community with wider zoning, committed local residents, farming, fishing, hunting and hiking influence. Residents are proud to live in a town where a middle class home priced at 250,000 will cost less than 2500 per year in property taxes, and one where they can also still shoot across route 1 and find some of the prettiest and most expansive beaches in New England; Charlestown Town Beach, The Breachway and East Beach. Charlestown Beach on a summer day. Are you looking to get closer to the Breachway? Surrounding the glorious beaches of Charlestown, uber luxe neighborhoods have sprouted up and offered an option to in state and out of state residents, like New Yorkers; even with multimillion dollar price tags not uncommon for direct waterfront, the values are much more affordable than the Hampton's with a privacy factor that is more discreet or at least "out of the crowd". 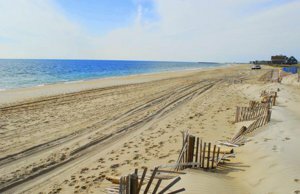 South of Route 1, sales have gone as high as 2,600,000 for a 2482 square foot, 2009 built opulent vacation home on Quonnie East Beach in 2015. They have ranged consistently between 400,000 and 1.8 million in neighborhoods like Foster Cove, Quononchontaug, Shady Harbor, Ninigret, Sunrise Acres, West Beach and Ballycranene. Direct water front properties may sell for up to $1000 per above grade living square foot. Charlestown borders Westerly on the Southwest and downtown Westerly is one of the best areas in all of Rhode Island to find night life and culture. Sunset on Charlestown Beach is a must if you are an RI resident, every summer. Right on the sound, you really get the chance to witness beauty on parallel with the worlds other great sites right in our home state. Ask a Team member for more information on your Charlestown Home and we'll be glad to help!